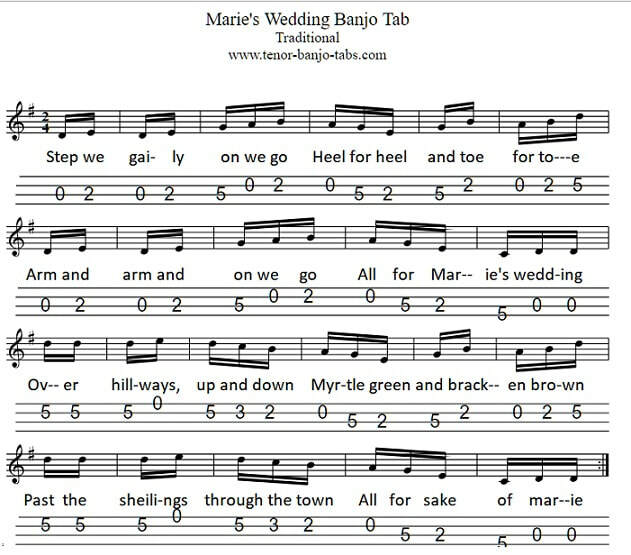 Marie's Wedding sheet music with mandolin / banjo tab and letter notes. A traditional song that was recorded by The Chieftains plus The High Kings and Orthodox Celts. 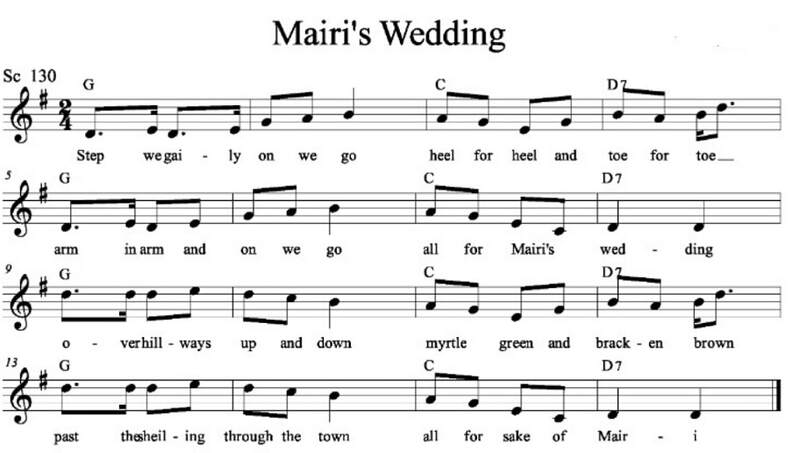 A Scottish folk song. The tab is in G Major. The letter notes are suitable for flute or recorder. 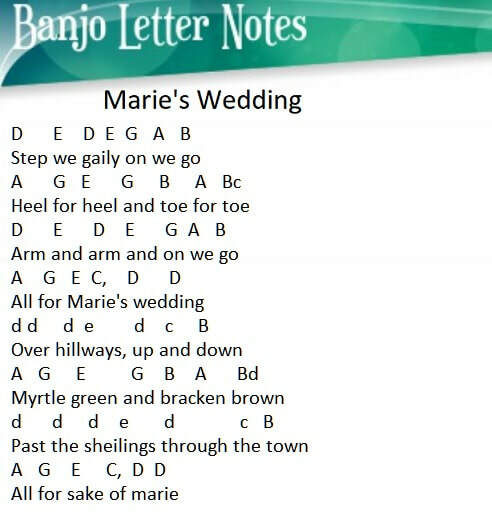 All the notes up to the B note are in CAPITAL letters. All the notes past B are in lower case letters. The C, with the comma is low.